Let’s be clear: there should be no excuse for the press in our sphere, including this outlet, to treat International Women’s Day as a chance simply to talk about women in music. That obligation is year-round and daily, or we simply aren’t doing our jobs. But that’s not the origin of Women’s Day, anyway. The history, rather, is one rooted in organizing for change. (Like so much modern grassroots advocacy, indeed, it comes from the labor movement just after the turn of the last century.) It’s about people working finding fair opportunities for their work. Focusing energies around an annual check-up on fairness, opportunity, and change seems necessary. There’s a broad spectrum of that in our community today. Here are just a few selections. Evaluating the problem – a lack of gender diversity in electronic music – is now well-trodden territory. But now it seems the scope of the conversation is growing, to understanding how this symptom is related to deeper issues around discrimination (particularly the ways in which young women are discouraged from technical and engineering work), and how to change the biases in the structures through which music is presented. Some of the most active work in actually changing the problem, not just describing it, has come from powerful collectives that have spent many years growing. 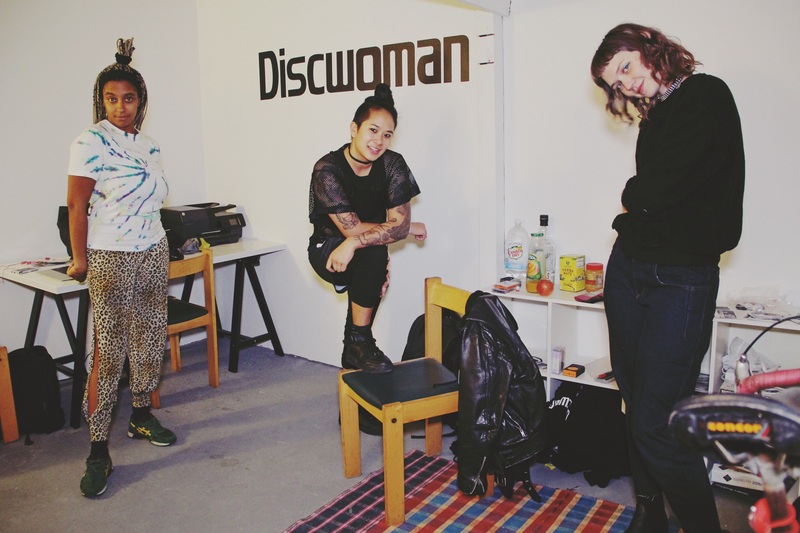 Discwoman, based in New York, raise the profile of female, queer, and transgender artists – and they’re increasingly on a mass market, international stage. Discwoman, centered in New York, can now be found taking over Mixmag and showcasing artists at Miami’s Winter Music Conference. Founders Frankie Hutchinson, Emma Burgess-Olson, and Christine Tran are featured in a new documentary short on the group, joined by artists The Black Madonna, Nicole Moudaber, Star Eyes, Sandunes, Demian Licht, and Nina Sonik. In Miami, more favorite artists are on the bill – Honey Dijon, Laura Jones, and Tokimonsta. I have to say The Black Madonna and Honey Dijon each blew me away the last time I heard them at Panorama Bar – and this is why any conversation about “diversity” is also a conversation about “quality,” about the health of our music community. A WMC with these artists featured more prominently is simply a better WMC, full stop. The group, it should be said, is also dedicated to queer and transgender artists, not only “women” per se. LA Weekly recently profiled the group, including a glimpse inside an event CDM organized in LA, featuring Laura Escudé. 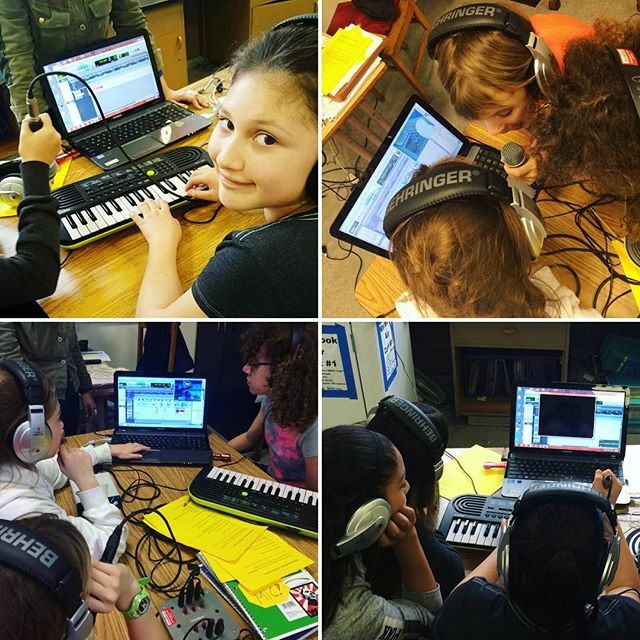 Young girls learn film scoring through Women’s Audio Mission. Can Teaching Young Women to DJ and Produce Solve Gender Inequality in Electronic Music? female:pressure is a collective we’ve covered with some frequency on CDM (and they’ve been terrifically prolific). In recent events, they’ve also dialed up the depth of the conversation. As with the collectives above, the goal is increasingly to effect real, concrete change, not just “raise awareness” or have some discussions. With a real business imperative involved, dBs – a music education institution – has launched a “dialogues” series with female:pressure to look at why so many of their (and other students) are guys. Blog entry: DBS DIALOGUES: WHY AREN’T MORE WOMEN STUDYING MUSIC PRODUCTION? Jennifer was evidently asked by Beatport to make her list (with some people who are personal inspiration to me, like Aurora Halal, Erika, Xosar, rRoxymore… I could go on). But her comment is telling, and is a reminder that International Women’s Day should not become a token day to suddenly promote women – while ignoring them the rest of the year. As she says, “Too many women making outstanding music, this list could have been much longer!” Indeed. But then, that suggests that the problem shouldn’t be what’s posted on “Women’s Day,” but addressing what isn’t posted the rest of the year. But perhaps the boldest project out today is one from female:pressure, and its goals reach much further. The project deserves its own in-depth coverage, but it seems to fit the context here if for no other reason than by way of contrast. female:pressure have chosen today not to simply do another generic compilation of female artists, but one with a specific political cause in mind. Today, the group’s musical release caps off a series of outreach events and talks organized to highlight The Foundation of Free Women in Rojava, a non-profit effort whose goals are no less than building a new society for women. The project represents a rare collaboration between European artists and activists in the Kurdish regions of Syria (in areas the Kurds call Kurdistan). Thirty years of Kurdish resistance against Iraq, Iran, Syria, and Turkey have provided a revolutionary template for the role of women in society, as women have taken on leadership in what can be stateless conditions. Those Kurdish organizers came in contact the western artists of female:pressure, and the dialog prompted a request from Syria for an artistic response. This is not the brand of social media-friendly feminism that you’re likely to see elsewhere today; the resistance here is armed, and according to activists, a line of defense against violent attacks by Islamic State. female:pressure is launching an awareness and solidarity campaign for the cantons of #Rojava (located in northern Syria), where women participate on all levels of decision making and building a new society from scratch, with built-in social, racial and ethnic justice, religious freedom, ecological principles and gender equality. She and I both discussed the idea that pacifism was something we can more easily endorse in our relatively safe Berlin. It was the International Free Women‘s Foundation – the Kurdish organizers – who asked female:pressure to listen to their story, says AGF, and the group wanted to respond. There are musical threads, as well. Activist “Hevî” (a psuedonym meaning “hope” in Kurdish) spent time in Rojava in Syria, and came to collaborate with Berlin-based artist Sky Deep. Music producer/DJ/curator Ipek Ipekcioglu has been invited to play at the first international music festival to be held in the autonomous canton of South Kurdistan in Northern Iraq, and has collaborated with Kurdish musicians in Turkey and around the world; she joined discussions with the others at CTM Festival last month and advocates on political issues. The musical context is expanded to an open call, with twelve selections out today. But to come full circle, this is a reminder that “Women’s Day” was never simply a day for women. It was a day meant to lead to radical activism and protest and political change. Sky Deep and Hevî are friends from two completely different worlds yet somehow, this song is a result of our worlds and passions combined. This song was born from the internal journeys that happen within the external environments that we endure everyday of our existence. It is a special moment when two people come together with intersecting journeys that result in art PLUS activism. We work towards freedom every day. This song is a piece of our soul. Hope lives in these frequencies. In that context, it seems, the role of Women’s Day to some artists has returned to its social justice origins. If you have projects you wish to share from today, let us know in comments.